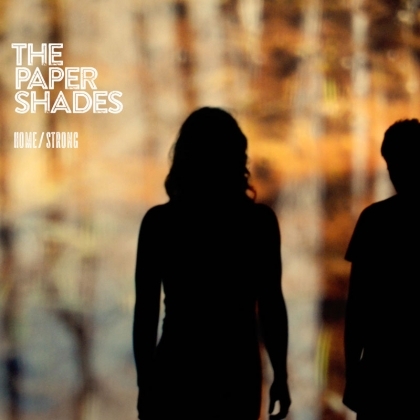 The Paper Shades have just finished their tour in the UK, gaining some really great press support from their amazing live performances, drawing comparisons to Laura Marling and Angus & Julia Stone. First and foremost, what grabs you when The Paper Shades song strikes up is the beauty of the harmonies between Sarah Dollar and Jon Rixon, drawing a strong comparison to Laura Marling, Noah and The Whale and Angus and Julia Stone. The duo have managed to infuse modern musical trends and an authentic sound to create one of the most engaging and fulfilling songs of the year so far. Backed up with an acoustic rendition of their track ‘The Lake’ on the b-side, ‘Home/Strong’ is available from via their new label Indie Kitchen Records, the duo recently had a strong 6 date UK tour, with more dates and festivals to come later this year.